Self-dubbed “urban monk” Jay Shetty’s life changed when he was 18. After meeting a monk transformed his worldview, Shetty graduated college and promptly lit out for India, where he too became a monk. He traveled across India and Europe for three years, balancing daily self-improvement with humanitarian work before returning to London. Now, Shetty uses both his degree in behavioral science and his experiences as a monk to share his wisdom with his million-plus YouTube subscribers. He was named one of Forbes’s 2017 30 Under 30, and has been invited to keynote at companies including Google, Facebook, and Microsoft. 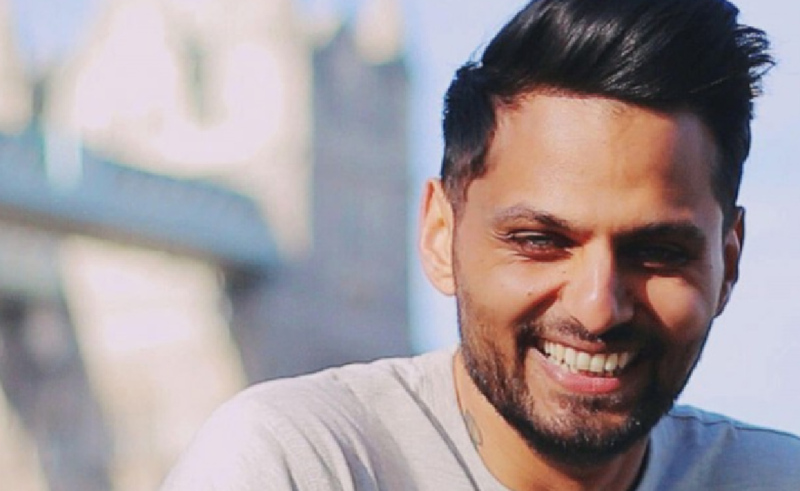 On YouTube, where his channel has garnered nearly 30 million views, Shetty focuses on sharing ancient practices with a millennial audience, encouraging viewers to better themselves and the world around them. Jay Shetty: I feel humbled and grateful for all the love and support. I’m so happy that we’ve built a global community that are making wisdom go viral. I want to say I genuinely appreciate each and every view, like, comment, and share just like when I started. I promise to continue making content that helps you on your journey. You mean the world to me, and I’m touched that you’ve allowed me to be a part of your lives. JS: I wanted to share wisdom at the pace we want entertainment. I wanted people to have access to entertaining content that helped them grow. I wanted it to be freely available to people across the world and YouTube allowed me to do just that. JS: I truly believe that people are looking for messages that help them find meaning and purpose. We’re moving away from mind-numbing content to videos that make us think deeper, question the way we live, and find answers to our challenges. We’re in the midst of a cultural revolution where economic and social factors are encouraging us to focus on self-improvement. TF: Where did you come up with the idea to do a Weekly Wisdom feature, and why do you feel it’s important to share your wisdom with your viewers? JS: Each one of my videos is based on a research study — even if I don’t mention it. This gives each video a reason for existing. Second, I base it around a real life experience — either one of my own or a friend’s. Thirdly, I provide a solution from timeless wisdom, universal ideas, and ask questions to help people reflect. When these three combine, you get one of my videos. I think it’s important because I’ve made a lot of mistakes, learned from them, and am always learning — I want to help people through my experiments and mistakes. TF: Can you talk a little about being an “urban monk”? JS: It’s a paradox. For me, it’s being able to live with a monk mindset in a modern setting. This includes my daily two-hour meditation practice, refining intention, aspiring to eat clean and healthy, cultivating positive tech habits, and working on myself every single day. It’s easy to lose site of ourselves in a hectic world, but my practices help keep me grounded and remain in service. JS: My favorite part is being able to engage with my audience. I love replying to comments, getting inspired by their ideas, and making videos that can reach people all over the world from different walks of life. TF: You wear a lot of hats—storyteller, economist, and now YouTube Millionaire, of course—but they all come together on your channel. What is your core message for folks who watch your diverse range of videos? JS: Find your passion and make it into a purpose by using it in the service of others. We all have a gift, a talent, a unique genius — and when we uncover it and train it and use it to help other people, our lives become perfect. YouTube is an incredible tool that can allow you to turn your passion into a purpose. JS: I’m launching a lot more episodic content, which I’m really excited about, and even inviting my viewers into my videos! Stay tuned and you could be in the next one! You can add yourself to the ranks of Shetty’s more-than-a-million YouTube subscribers at his channel YouTube.com/JayShetty.